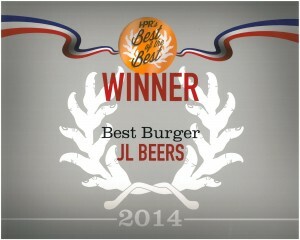 What makes JL Beers burgers the best? What’s new for JL Beers or coming up? What’s a great burger and beer pair to try? “My favorite is the Ragin Cajun burger with our Bell’s Two Hearted Ale,” Hedberg said. How does it feel to keep winning best fries? What’s the best thing to put on or drink with your fries? Why are JL Beer customers the best? “Our customers are always in such a good mood and really create the positive, fun atmosphere that we try and go for here. We always want to have a good time and make sure everyone is in a good mood,” Hedberg said. JL Beers Awarded – Best Burger! What do you do that makes you stand out from other restaurants? “Our open kitchen behind the bar allows guests to see how their food is prepared and also the cleanliness of our kitchen,” said Lance Thorson, a co-owner of JL Beers. What does it take to consistently make good burgers? “It takes great people that genuinely care about each and every burger that is made,” Thorson said. Besides your burgers, what should people try on your menu? What makes for a good french fry? Besides ketchup, what should people try on their fries? JL Beers Awarded – Best Burger & Best Restaurant Service! 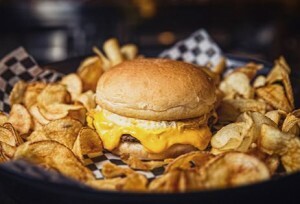 The Humpty Dumpty burger has been a staple menu item at JL Beers since day one, and has created somewhat of a legacy for itself when it comes to local burger lovers. With just a fried egg and cheese stacked amidst perfect buns and a patty, this burger proves that less really can be more when it comes to great flavor. You can also add bacon or even substitute the beef for a black bean, wild rice and quinoa patty if you’re not a meat-eater. 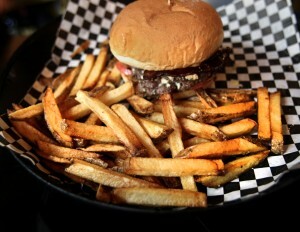 This Fargo hole in the wall is known for its beer and burgers. This outpost of the Upper Midwest mini chain has just 24 seats in the house, which means it regularly sees customers lining up out the doors. Don’t worry, though. The crowds move quickly through this joint, as it takes less than three minutes to cook and serve each burger. The Humpty Dumpty Burger is the one to order. It’s like a lunchtime and dinnertime breakfast sandwich, with fresh ground beef, a fried egg and American cheese, all served on a featherweight signature bun. What is your reaction to your follow-up win? “We try to put out the best burgers and beer everyday and we’re just glad people seem to appreciate what we do,” said Brandon Nilson, general manager of JL Beers in downtown Fargo. What makes your burgers different? “I’d have to say the Humpty Dumpty burger. It’s just a burger with a fried egg and American cheese on it. That’s it. But it’s really good,” he said. What makes your fries different? What would you say to someone who has never been to JL Beers? As the winner of many burger awards, including some of our own, the Humpty Dumpty burger has been a staple menu item at JL Beers since day one. With just a fried egg and American cheese amidst a perfect bun and patty, this burger proves that less can really be more when it comes to great flavor. You can also add bacon or substitute the beef for a black bean, wild rice and quinoa patty as your heart desires. 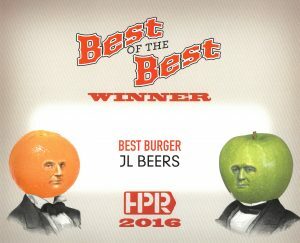 JL Beers Awarded – Best Burger & Best Craft Beer Selection! What’s the appeal of the JL burgers? “Honestly, it’s the simplicity. We don’t over¬complicate it. It’s straight¬forward. Because we keep our menu simple, we keep our products fresh,” says Lane Johnson, assistant manager at the downtown Fargo location. How many potatoes do you go through in a day? JL Beers Awarded – Best Burger, Best Craft Beer Selection, and Best Lunch! Vintage Abyss? You have our attention, JL Beers. Actually, that’s just one of the interesting brews the burger joint has offered recently. Besides the old Deschutes, you’ll find rarities from Surly, taps dedicated to Fargo Brewing Co., and really clever selections from all over the United States. It feels like a throwback burger joint that just happened to get clued in on the beers of the future. Reaction to winning: “We’re excited to be recognized again. We’ve won those same awards the last couple of years, and it really means a lot to us for our customers to vote and show their appreciation continually in those categories,” said Lance Thorson, co-founder of JL Beers. Written by: Chloe Hay of The Culture Trip on September 15th, 2014. As North Dakota’s largest city, Fargo is recognized as the cultural centre of the state. Home to a plethora of exquisite restaurants specializing in everything from seafood to pizzas, and steaks to sushi; Fargo has a restaurant to suit every fancy. With so many to choose from and new ones opening every day, we have updated our previous city restaurant guide to include some new eateries worthy of praise. Living by the mottos ‘red meat is good for you and potatoes are vegetables’, and ‘the problem with the world is that everyone else is a few beers behind’, JL Beers specializes in homemade freshly ground beef burgers served on signature buns with a side of crispy fries. Diners can choose from an array of tasty toppings to add to their burger including grilled onions, jalapenos and slaw. As the name would suggest, JL Beers also has a huge array of beers to choose from including those on tap, imported bottles, domestic cans, mixed brews and beertails. Written by: Andrew Jason of Fargo Monthly on June 12th, 2014. Of all the food groups, burgers might be our favorite. What other food says summer like a juicy, thick and succulent burger topped with unique toppings. We took a poll to find out your favorite burger in town. Welcome to Fargo Monthly’s first annual best burger competition. Shocking, right? Was there even a debate about what the best burger in town was? The Humpty Dumpty burger is the consensus favorite in Fargo, and for good reason. Not only has JL Beers become a staple burger spot in Fargo, their beef is always memorable and they are always rolling in new beer on tap. Any burger on the JL menu is a winner, but there’s only one that can make you second guess your decision to order anything else. The simplicity of the ingredients makes the Humpty Dumpty burger extremely appealing for any hungry Fargoan. The flexibility that comes with a quarter pound burger patty, one egg and cheese is endless. Bacon is a popular choice among patrons looking to spice up their Humpty Dumpty experience. Add a shot of Sriracha if you dare to walk the line of deliciousness and mediocrity. Ultimately, like any great burger, it comes down to the burger patty. The quarter pound greatness that comes off the JL grill is juicy and enticing enough to have anyone salivating. 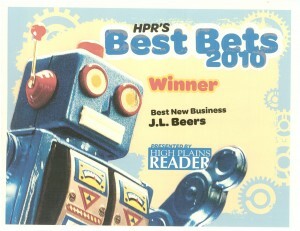 JL Beers went home from HPR’s awards event with a triple win, so it must be doing something right. Clearly the extremely fresh and tasty burger selection, fresh-cut fries and variety of dipping sauces have something to do with it. Secret to your success: “We just love what we do and we’re passionate about craft beer, our burgers and our products,” Thorson said. Something people don’t know about your business: JL Beers places a priority on using locally produced products as a way to give back. “Our potato products are all North Dakota potatoes, so they’re all grown locally,” he said. 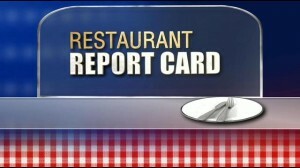 One local restaurant, JL Beers in downtown Fargo hasn’t had a health code violation in over a year! Valley News Live presented them with a Clean Plate Award to proudly display in their window so customers know they’ve kept on the right side of the health inspector for some time. 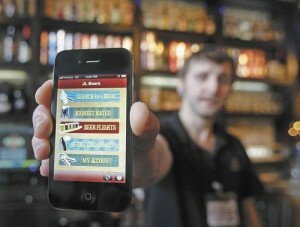 The bar and restaurant has launched a free mobile app to help customers keep up with JL Beers’ ever-changing selection of tap beers, read, write and share beer reviews, and keep a diary of personal consumption and tasting notes. Co-owner Lance Thorson came up with the idea based on existing beer review websites. He wanted to create a site that concentrated on the beers they serve locally. Because JL Beers brings in several beers every week, it doesn’t print new menus each time a new product is introduced. “This (the app) is the quickest and most informative way for us to get what we have on tap into the hands of our customers,” Thorson said. MacDalton Berns and the team at Absolute Marketing in Moorhead made Thorson’s vision a reality. They designed an app that also allows customers to search beer offerings by state or country of origin, by style of beer and by customer ratings. Berns said the original app was quietly debuted months ago. After making a few enhancements based on customer feedback, a second version was recently launched. The app has now been downloaded more than 1,000 times. The app is an extension of JL Beers’ social media strategy, Thorson said. When customers post a comment through the app, they will be able to post that information to their Facebook page. Friends who see the post may continue a conversation about the beverage through Facebook. 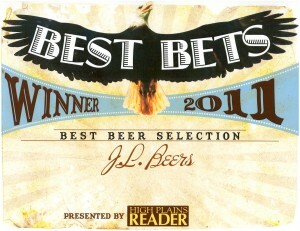 To download the app, visit jlbeers.com/apps or search for JL Beers in Google Play or the Apple app store. JL Beers has locations in Fargo, West Fargo, Moorhead, Grand Forks, Bismarck and Sioux Falls, S.D. Locals are extremely vocal about their love of JL Beers. My goodness, this burger and beer joint has it figured out. Since opening, the place can hardly keep customers away. For one, JL Beers has a feel-good atmosphere, its menu is simple, its food is full-flavored and its beers selection is far from wimpy. History: JL Beers also won best burger last year. 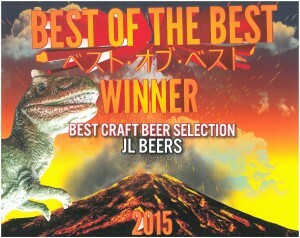 This is the third year in a row the business has won best beer selection. Sometimes a person just craves a good hamburger…nice and juicy…perhaps with some cheese or bacon on it. Recently, via a Facebook post, we asked the good people what their favorite burger place in F-M is. We received many responses and a “winner” was determined. 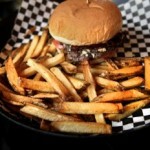 If you’re looking for a good burger joint in F-M, continue reading! The favorite (by far) among those who responded was….JL BEERS. A fairly new addition to the F-M area, but obviously quite popular. Having tasted their burgers myself, I can vouch that they are indeed delicious! A couple people recommended the “Humpty Dumpty” specifically. It has a fried egg and cheese…it’s ok, my mouth is watering too. Their menu has lots of interesting stuff! I would also recommend their fresh-cut chips! JL Beers has locations in both Fargo and Moorhead…the Fargo location is located downtown and the Moorhead location is on Hwy 10/Main Ave. JL Beers also has a location in West Fargo. After a failed romance, one can easily sink into a spell of sadness and sluggishness. Not so for Andrew Thomason — he chose to drink a lot of beer. Thomason, a special education major at MSUM, is the first person ever to taste all of the beverages at JL Beers, the beer and burger joint located in downtown Fargo. “All the tops, all the bottoms, all the cans, everything,” bartender Jason Cossette said. On a Friday afternoon, Thomason sat at the end of the bar, nursing a petite glass of Lindeman’s Framboise Lambic. What was left in the bottle before him was what was left of a seven-week-long effort. It was an unusual ending to such a large, personal mission, but Thomason rejected any sentimentality. He would’ve prefered Summit Extra Pale Ale over the Belgian raspberry fruit beer in front of him that afternoon, but a promise is a promise for Thomason, especially to himself. Like a few of Thomason’s other endeavors, the beer tour started in the wake of a breakup. “Whenever I break up with a girl, I always take up a project,” he said. Past projects have varied from learning how to knit to acquiring a conversational knowledge of German. His most recent goal came suddenly on a whim. With that firmly decided, Thomason set off on his beer tour the day after Christmas, but not without some semi-strict guidelines. Then there was the minor matter of tap beers. While a certain number of JL Beers’ taps always carry the regular domestics, others are subject to seasonal rotations, making Thomason’s ideal goal impractical if not unreachable. This required a creative workaround. “So what I did was assign each tap a number, and I went down tap one, tap two, tap three,” all the way to tap 32: old reliable 1919 Root Beer. When Thomason first mapped out his objective, he resigned himself to drinking every beverage the bar displayed, including the soft drinks. As he neared the end point, the few cans of sugary soda proved to be the most difficult hitch in the journey. Thomason poured the rest of his bottle into his glass that Friday afternoon as the conversation subsided. The bar was well over capacity and the wait staff was buzzing behind the counter. He caught one of them. Like friendly colleagues, they launched into easy small talk. Vig mentioned he started exercising regularly and jogging in the unseasonably mild February weather. “You gotta train up for the Fargo half (marathon). It’s only like three months away,” Thomason said. The exchange lasted a minute or two before Vig’s obligations pulled him to nearby group of customers. Thomason cradled his glass. Thomason finished his 116th unique drink. “Yeah, that’s it,” he said. There was no fanfare, no streamers, no award. Only an honest high-five from Vig. As Thomason promised, he did it to do it. If you enjoy a good beer and a burger as much as I do, you have to stop at JL Beers. They have a few locations around the area, the closest to campus being the downtown location off Broadway and First Avenue. They boast great burgers and a huge selection of different brews. The bar itself is small but has a very efficient use of space. They joke that they have seating for 1,000, but only 24 at a time. The size of the bar can be a bit of a problem at times, making it hard to be seated during busy meal times. The service is usually great, and the waiter I had was very helpful and knowledgeable when helping my friends and I find a beer on the menu that fit our different taste styles. JL Beers has a wide variety of different burgers — all tasting amazing. It is hard to pick a favorite, but if I had to, the JL burger would rank on top with the BLT Blu close behind. The JL burger is two patties with grilled onions and special sauce, while the BLT Blu has bacon, lettuce, tomato and bleu cheese all on top of a delicious beef patty. Another interesting burger they have is the Humpty Dumpty burger, which is served with a fried egg on top of the patty. The burgers are very reasonably priced for the quality you get with your meal. Along with the burgers comes fresh cut potato chips, but if you want, you can replace those with fries, which I would definitely recommend. The cajun fries are good, but they also have barbecue fries and sea salt fries. 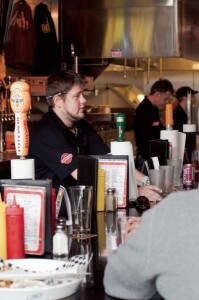 JL Beers is a favorite lunchtime place of Michael Schenfisch, a senior majoring in business. 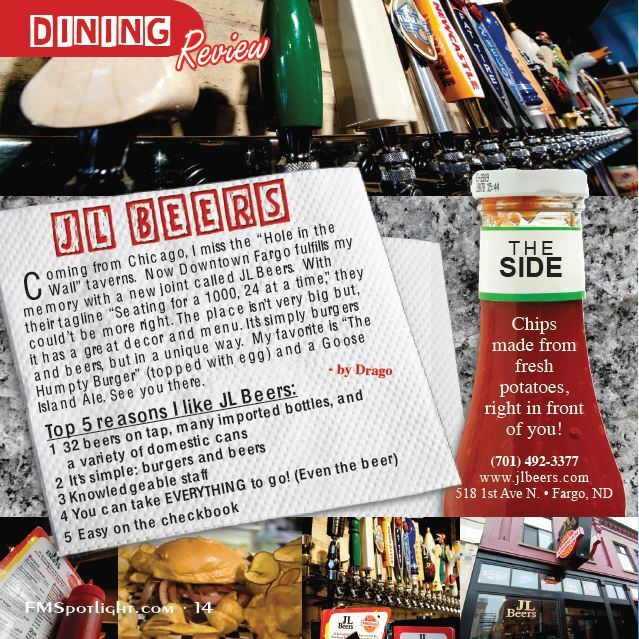 “JL Beers is a great place to go if you like great burgers and fantastic beer. 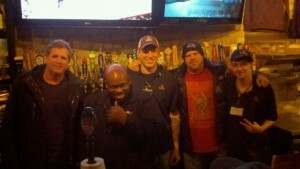 They have a wide variety of beers that won’t disappoint,” he explained. Since JL Beers is a bar, you have to be of drinking age to eat there. 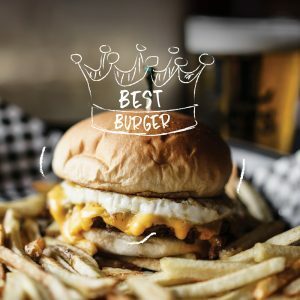 But for those of us that are of age, next time you are craving a burger and beer, go downtown and check out JL Beers; you will not be disappointed. In a state where ranching reigns, tasty burgers are a menu staple. Enjoy this sampling of some of the best. Named after Fargo’s legendary bar owner, Jim Lauerman, this hole-in-the-wall off Broadway Driver serves brugers – and fries – exclusively. Order a traditional Great American Cheese Burger or spice up dinner with the Rajun Cajun – a Louisiana-style wonder of pepperjack cheese, cajun lime sauce, grilled onions and a fresh-baked bun. 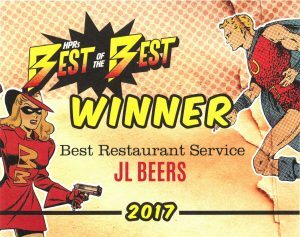 JL Beers Awarded – Best Beer Selection, Best Burger, Best Lunch, Best Meal Under $10, and Best New Restaurant (West Fargo)! Always a fan favorite, J.L. Beers has once again swept the categories of best burger, beer selection and new restaurant. They have 40 beers on tap, imported beers, mixed brews, beertails (instead of cocktails), over nine burgers, and more, J.L. Beers has exactly what you need for fun! We’re back from Fargo with a vengeance; it was a great trip once again. Nothing like those people anywhere! They just fed us full of great hamburgers and liquor all weekend. That JL Beers burger joint…pretty damn good. We gotta put it in our top 3 burger places in the country, along with In-And-Out Burger and Fatburger. Thanks to everybody in Fargo once again for a phenomenal weekend. You guys are absolutely the best…you really are. Just genuine nice people. It’s crazy. Friday night we went over to JL Beers and had phenomenal burgers. Awesome burgers. One of the things we loved the most were the chips with the buffalo sauce sprinkled with bleu cheese crumbles, they were just awesome. Everything there was phenomenal. And so much so, that we had to go back on Saturday night to the one in West Fargo. It has been said that food is the way to the heart. If that’s the case, then cheap food and great beer is the way to a college student’s heart. JL Beers may be blazing that trail. JL Beers, located on First Ave. N. about half a block east of the Hotel Donaldson, may look like a hole in the wall from the outside, but while it may only seat 24 people, JL Beers is no dive bar. The inside is outfitted with several flat screen televisions, sure to be showing ESPN, and a bar that runs almost the whole length of the building. What is more important is what is behind the bar. 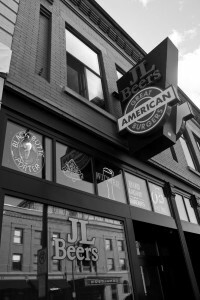 JL Beers offers 32 beers on tap, many bottle beers, and even 1919 Root Beer for those who do not want to drink beer. Of the 32 tap beers most are brews from smaller breweries as well as seasonal beers. For the person unwilling to step outside their comfort zone, three popular beers are offered: Coors Light, Miller Lite and Bud Light. While I am very critical of restaurant service, the staff at JL Beers didn’t leave me with much to complain about. The staff was friendly and helpful. They really seemed to enjoy their jobs and the people they work with. Friendly banter occurred between the staff and created a fun, sociable atmosphere. Understandably, I had questions about some of the beers behind the bar. The staff was not only knowledgeable about what they were serving but allowed me to sample the beer before ordering. JL Beers serves delicious burgers that are grilled right in front of you behind the bar. With all of their burgers costing less than $5, a person can get a great tasting meal without dipping deeply into their college funds. French fries come at an extra expense of $2 but two people can easily split the given portion. The burgers were fresh and quite tasty and the fries were hand cut. All in all, JL Beers has become my new favorite downtown hangout. I have yet to find another place where I can sit down for a reasonably priced meal and try a new beer or enjoy one of my old favorites. The small-bar atmosphere, where everyone could grow to know your name, only adds to the appeal. Its limited seating is not ideal for a large sporting event, but I could find myself stopping by more often to watch midweek hockey games. Additionally, I believe the smaller venue is more of an advantage than a setback as it brings you in and seats you closer to the staff behind the bar and makes you feel as if you are part of their conversation. JL Beers has made my list of the best restaurants and bars in Fargo and should be considered as part of yours. North Dakota leads the nation in malt barley production; its farmers also grow a fair number of chipping potatoes. So it’s practically a requirement to sample the local beers, freshly made potato chips and, yes, delicious burgers at this downtown spot. Burgers $3 to $4; beers $3.50 to $6.50. The new kid on the block has created quite a buzz in Fargo-Moorhead since it opened last year. Forum readers voted the downtown locale of JL Beers as having the best beer selection in the area. 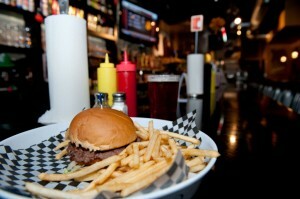 The small restuarant, 518 1st Ave. N., serves up burgers and beer to only a couple dozen patrons at a time. But its wide selection of brews makes it a favorite among connoisseurs of ale, owner Randy Thorson said. JL Beers offers 32 varieties on tap at all times, but has as many as 85 different kinds in stock. Some of the more high-end varieties can cost as much as $20 a bottle, Thorson said. He said the restaurant’s management studied beer to offer so many options, but they’re surprised at how many patrons bring their own expertise when it comes to specialty suds. The success of the dowtown Fargo location has the business expanding. 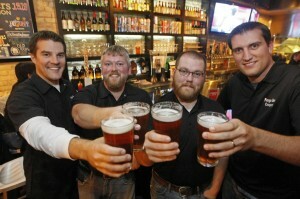 A second JL Beers, at 810 13th Ave. E. in West Fargo, should open by the end of the year, Thorson said. USA TODAY TRAVEL: 51 Great Burger Joints Across the USA! Whether charbroiled in a down-home diner or fancified in a trendy eatery, few national dishes satisfy like a well-made hamburger. USA TODAY asked local experts to name one great hamburger joint in each state and the District of Columbia. Here are their picks for places to savor that classic all-American sandwich. 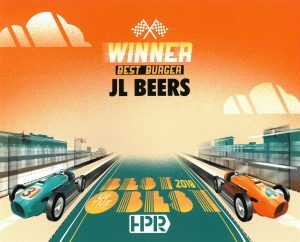 Burger Mania Winner is…JL Beers! 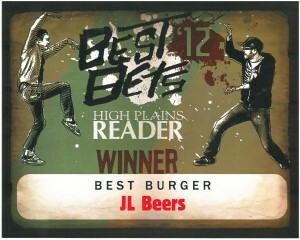 Congrats to JL Beers…Scotch, Tank, and Ginger’s choice for the #1 burger in the metro area! It was a tough choice but there can only be 1! 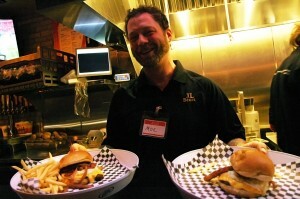 Congrats to JL Beers…the winner of Scotch, Tank, and Ginger’s “Burger Mania” contest! 2nd place going to the Silver Dollar Bar and Grill, 3rd place…Hi-Ho Tavern in Dilworth! Contestants were judged on “Bun”, “Presentation” and “Flavor”! Thanks to all who participated! When asked why she enjoys her job, co-manager Andrea Williams kept it simple. “I really like beer and I like to educate people about it.” The concepts behind JL Beers are simplicity and quick service. Burgers arrive in roughly three minutes. Keep that in mind and follow Andrea’s best advice, “concentrate on your drink choice.” JL Beers has 32 beers on tap, 50 bottles to choose from as well as water, pop, or coffee. Congrats everyone. Visit their website www.jlbeers.com to see what they have in store for you. The secret of English pubs, what makes them more “bar” than other bars, is that they’re crowded. We don’t know why, and like everybody else, we curse when we have to navigate elbows and butts to get to the bathroom, but it helps the atmosphere. The buzz of conversation is cheerier. We admit it, we’re gone on JL Beers. And Andrea, we need an education, please teach us one beer at a time. In a quaint, yet modernly designed building set in downtown Fargo is one of the city’s newest restaurants. Locals have been flocking to this eatery to experience the much talked about food and beverages. What’s on the menu that has caused so much interest? Simply burgers and beer. Dan Vogel, general manager of JL Beers, said, “We make the best burgers in town.” All burgers come on a fresh baked bun, and there are many additional items that can be added on. Also offered are homemade chips and fries. The main reason people come to JL Beers, though, is to try the wide variety of beers offered. With 32 beers on tap, many imported bottles and a variety of domestic cans, patrons of the restaurant have countless options. For those who cannot decide which beer to order, samples are given. Individuals can also order beer flights, which consist of six small glasses of different beers. “People like to try something new,” Vogel said of the wide beer variety. Not sure what to order? No problem. The bartenders are very knowledgeable about the beer options and can suggest what to try based on individuals’ preferences. For those who prefer nonalcoholic drinks, JL Beers offers nonalcoholic beers and a variety of sodas. The beer truly is the focal point of the restaurant, which is evident as the long bar stretches almost the entire length of the building. The building, itself, is quite narrow, and only allows seating for 24 people. Most of the chairs are pulled up next to the bar, but there are a couple tables as well. “It really has a big city feel, and it brings something different to downtown Fargo,” Vogel said. The chrome and metal décor of the restaurant provides a clean, sleek look. This modern look even extends into the kitchen area which Vogel described as a “show kitchen,” meaning “you can watch the food while it’s being made,” Vogel said. JL Beers is also easy on the wallet. With all of its food options under $5, it is simple to get a filling meal for a low price. Burgers range in price from $2.99 to $4.49, while side items only cost $1.89 to $2.99. With such low prices, sampling one or more beers can still keep a meal within budget. All items at JL Beers can be taken to go, surprisingly even the beers. If customers cannot finish their beer at the restaurant, the bartenders can also reseal the beer for them to take home. Let’s talk about bacon. Being the unabashed bacon enthusiast that I am, one might imagine that I would take bacon on anything. Not true. Bacon on a burger often gives me cause for doubt. Not because the flavors don’t go together, or because I can’t stand the thought of those cute, delicious little piggies being slaughtered for my satisfaction, but because, frankly, it’s rarely done right. Generally when bacon comes on a burger I have a hard time believing that it even came from a pig. It tastes more like cardboard and wet socks. This is not the right way to do bacon on a burger. However, despite my reservations, when the waitress asked if I’d like bacon on my Humpty Dumpty burger at JL Beers I hastily assented. I mean, the burger has a fried egg on it, and you can’t really go wrong with bacon and eggs (unless they are from a Motel 6 continental breakfast, in which case you can go terribly, horribly wrong). To my surprise, the bacon was just about perfect burger bacon: crispy, thick and peppered within an inch of its life. Let’s review. JL Beers, newly opened at 518 1st Avenue and home to 58 separate kinds of beer, 32 of which are on tap, makes a burger in about a minute flat, slaps an egg on top and tosses on some of the best burger bacon this side of the Mississippi and suddenly we’ve got a burger and beer joint downtown with the right idea. Don’t get me wrong. There are other places where you can get White Castle sliders or a nine-dollar burger with bleu cheese yak bacon. At roughly four bucks a pop and a menu comprised simply of four burgers and two different kinds of chips (made in-house with one of the coolest kitchen gadgets I have ever seen) JL Beers hits the elusive golden mean of the burger world. I could wax poetic about the burgers all night, but let’s move on. JL Beers, true to its name, also has one of the best beer selections in town and it’s only getting better. “We’re giving the people what they want,” said General Manager Dan Vogel, “and surprisingly, people are more adventurous than we thought.” Having already gone through a keg or two of the more obscure beers on the tapline, JL Beers is looking to get more interesting beer into the hands of the thirsty people of Fargo.I know that I was pleasantly surprised to find beers ranging from Summit’s fantastic Oatmeal Stout to Rogue’s Dead Guy Ale and at $3-5 a pint you can try as many as you like. For those looking to enter the world of craft beers or even if you’re just brew-curious, JL Beers offers “Beer Flights” which consist of six separate 4 oz. beers in different categories such as Midwestern breweries, beers from around the globe and my personal favorite, ales from the dark side. Also, at the back of their extensive beer list they’ve got a glossary of beer terminology so you, too, can find yourself spouting off about the differences between doppelbocks and trappist trippels. Seating roughly 30, JL Beers feels cozy even when there are only 10 people on the rail. It was packed full when I went in around 6 and later that night when I stopped in for a Bell’s Two Hearted IPA at last call it was standing room only. The crowd is also one of the most diverse groups I’ve seen Downtown. Tattooed hipsters chow down next to suits, frat boys and geeks brought together by the two things powerful enough to unite us all: burgers and beer. JL Beers and the South Moorhead Atomic Coffee have graced the metro with an amazingly diverse list of high-quality craft brew. For the uninitiated, craft beer loosely refers to a brew made with traditional methods—no adjuncts, such as rice or corn, are added to reduce costs or change the characteristics of the beer. Craft brews tend to have a more distinctive taste than mass-consumed beers, which may limit the audience of any one brand. The explosion of microbreweries in the United States and around the world, however, virtually guarantees that an individual can find a variety that appeals to their taste buds. Atomic Coffee may have the smaller selection of the new establishments, but the choices they’ve made fall in line with a quality-over-quantity approach. Residents of Fargo-Moorhead can finally enjoy a refreshing pint of Surly from the tap, without having to cross the city limits. The Surly Brewing Company is a relative newcomer to the industry, with beers starting to flow off the line of their Brooklyn Center location towards the end of 2005. The Surly family includes several year-round beers, and one or two seasonal varieties. The most sought-after of these is “Darkness,” the high-alcohol, Russian Stout available in the weeks following Halloween. Atomic Coffee has blessed us with what could be considered the flagship of Surly’s year-round lineup, Surly Furious, brewed with a blend of four different American hop varieties. Hops are the flower of the vermicular hop plant and are used to give beers their bitterness and aroma. The result is a flavorful crimson brew, with an eye-opening citrus bouquet. The beer starts with a complex caramel taste and finishes with a delicious bitterness from the hop blend, a sensation that stays with you well after the liquid has left your tongue on the way to your stomach. This is one beer that may very well be an acquired taste if you’re coming from the world of Anheuser-Busch. Atomic rounds off their selection with two fabulous stouts from Bell’s Brewery including a java stout. The perfect accompaniment to the fragrances of a coffee shop, the java stout enhances the inherent coffee flavor of the stout by blending Sumatra and chocolate to make a rich, filling brew. Also available are a Widmer IPA and Lindeman’s Raspberry Framboise, a sweet fruit beer that pairs well with desserts. If you’re looking for a unique beverage without the noise of a pub, Atomic should be at the top of your destination list. If a more traditional bar scene is to your liking, or if you’re looking to pair your beverage with a burger and fries, JL Beers fits the bill. With 32 taps, 33 bottle varieties, numerous cans, and even a few “big beer” 750ml varieties. JL Beers has raised the bar for craft beer in downtown Fargo. Here you’ll find everything from a can of Hamm’s to the finest Belgian dubbel. The entire space and concept is set up to make the beers the focal point. A long bar surrounding an impressive shelf system of bottles, cans and taps makes up almost all the seating in the long, skinny pub. The beer list not only gives you names of the products, but also descriptions of the taste, alcohol content, and even a glossary of general beer categories and terms. JL Beers brings a new level of convenience to the person looking to enjoy a craft beer from the comfort of their own home. Burgers can be ordered to go, along with bottles or growlers (a half gallon from any of the taps). If you happen to find yourself unable to finish one of JL Beers’ big beers, the staff will happily reseal the bottle so you can take the remainder home. For those who quiver at the prospect of making one choice among the formable selection of suds, JL Beers also provides beer flights, consisting of five small glasses of different varieties. For the Anheuser-Busch fan: enjoy your old standby or dip your toe into the world of craft beers with something from the New Belgium Brewery. For non-alcohol drinkers: Delicious 1919 rootbeer on tap! Now get out there and start expanding that palette. Downtown Fargo is known for it’s trendy boutiques, funky art spots, pubs of all sorts and variety of eateries. 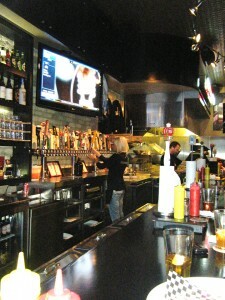 JL Beers, 518 1st Ave N., combines a fully stocked beer bar with a diner style burger joint. Although JL Beers only features five different burgers on their food menu, they don’t skimp on creativity, or flavor. The “Humpty Dumpty Burger,” a burger topped with a fried egg, is sure to become their specialty. The burgers are moderately priced, ranging from about $3 to $5. Sides aren’t included in the cost, but with three to choose from, it’s easy to make a meal by adding fresh cut fries, chips or Cajun chips. 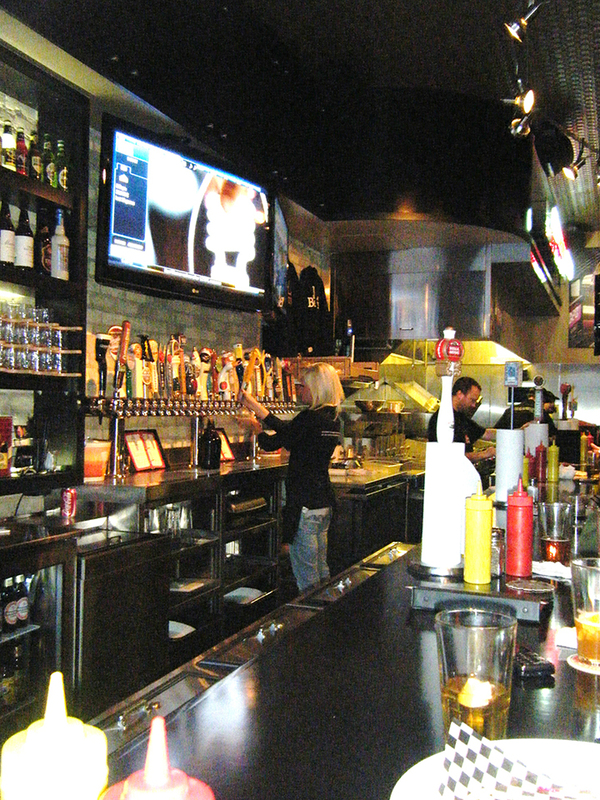 As the name suggests, the bar features a huge selection of beers. The beer menu dwarfs the burger menu. Upon taking a seat at the bar, patrons are shown a binder-style book of available beers. With 32 beers on tap, one can order beer by the pint, talls and growlers. They also have a variety of import bottles and beer by the can. JL Beers is often a crowded place, but that shouldn’t prevent you from checking out the delicious burgers and sides or trying one of their many beers. Consider the atmosphere “cozy” rather than cluttered, as the compact area only holds two tables and a counter seating about 30 all together. Food and beverages are also available to go. Most bars aren’t able to offer drinks to go, but JL Beers is able to seal your alcoholic beverage so you can take it with you when you leave.